Brookhaven Elementary School students are making a difference through participation in two holiday collections. During a candy buy-back fundraiser, students have been stockpiling their leftover candy in the school lobby to send to the troops overseas. 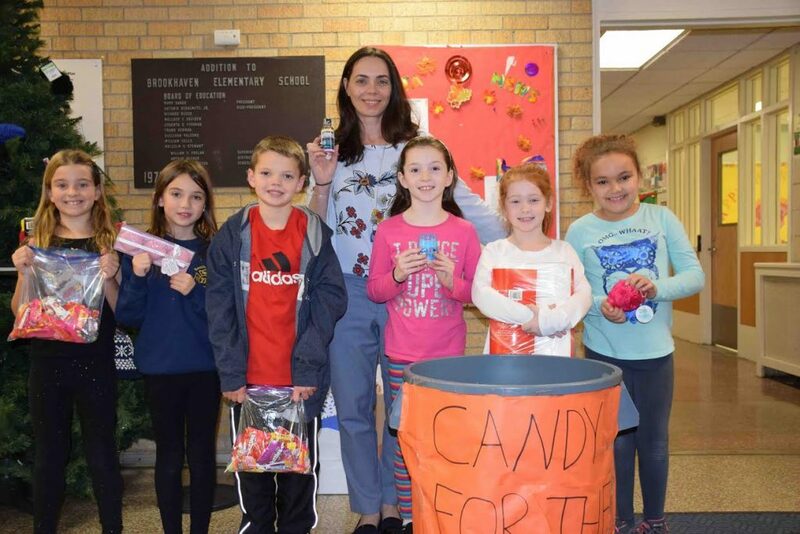 In conjunction with Bach Grazina East End Orthodontics, who are donating $1 to the school for each pound collected, the students have already donated more than 100 pounds of candy. In addition, Brookhaven Elementary School students have joined the districtwide Socks and Soaps Toiletry drive through the South Country Community Leadership Network. Toothpaste, toilet tissue, brushes and deodorant are some of the items being donated.